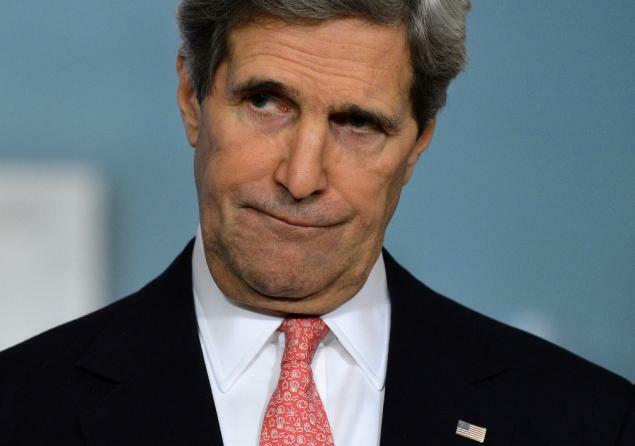 Former secretary of state and failed Democrat presidential candidate John Kerry has been trying to salvage Obama’s awful Iran Deal – by going around the Trump administration and holding meetings with Iran. Who elected Kerry? Former Secretary of State John Kerry is being slammed for conducting shadow diplomacy with Iran after admitting to multiple meetings with Iranian officials behind the backs of the Trump administration — including over the scrapped nuclear deal. An administration official on Thursday told Fox News Kerry’s meetings are “shameful,” pointing out what Iranian-backed militias are doing to kill and injure people in Syria, Iraq and Yemen. Later Wednesday, during an appearance on Fox News’ “The Daily Briefing with Dana Perino,” Kerry did not deny the suggestion he’s telling the Iranians to wait out Trump until there is a Democratic president again. “I think everybody in the world is talking about waiting out President Trump,” said Kerry, who ran unsuccessfully for president in 2004 and who has not ruled out a 2020 bid.